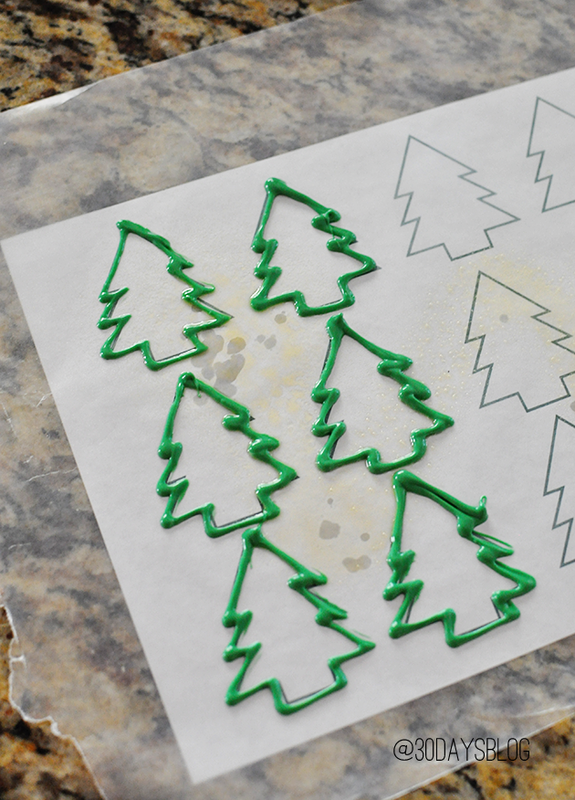 It doesn’t feel like the holidays until we get in the kitchen to bake together. 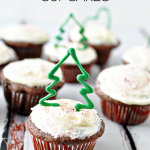 Today I’m sharing a new favorite- Truffle Christmas Cupcakes. Surprisingly I haven’t posted cupcakes on 30days… I guess I am drawn to cookies and make them more often. Truthfully they are easier to transport and deliver so I make them a lot more. But these cupcakes are too delicious to keep for myself. My family members LOVE chocolate. My mother in law is from Switzerland so chocolate practically runs through her veins. She found a recipe for chocolate truffle cupcakes using Lindt balls (our favorite!) that I just twisted a bit to make my own. Let’s get baking, shall we? 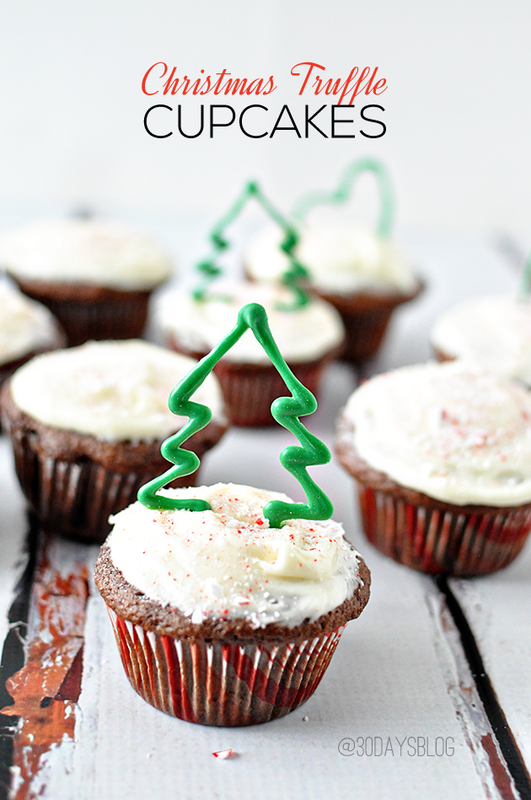 These cupcakes are deliciously decadent - a must-try for your holidays! Unwrap milk chocolate Lindt truffles and set aside. Fill cupcake liners 2/3 full (do not overfill). 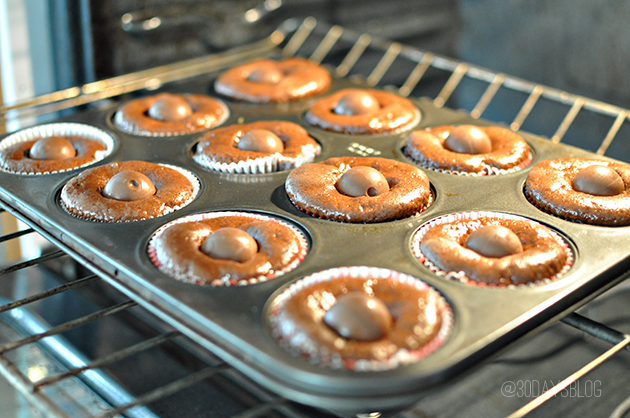 After five minutes, lightly press a Lindt truffle into each partially baked cupcake (don't push too far). Let the cupcakes bake an additional 13 minutes (total of 18 minutes). Cream butter and cream cheese together, then add vanilla. 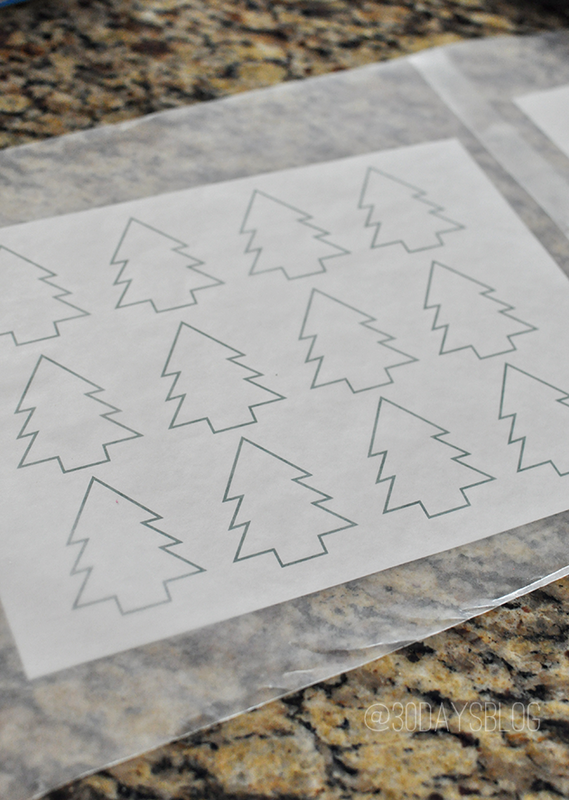 Lay printable on counter for Christmas trees and/or hearts. Place a sheet of wax paper on top. Follow directions on package to melt chocolate. Add it to a squeezable bottle/piping bag. Trace the trees or hearts. After frosted, sprinkle with crushed candy canes. Top with chocolate trees and/or hearts. After I was happy with my trees and hearts, I let them harden and had my trusty baking partner (Drew, 7) crush candy canes. We love to crush candy canes at this time of year. We add them to hot chocolate with whip cream and other recipes too. I keep them in a little bottle for easy access. After the cupcakes came out of the oven, we waited for them to cool, frosted them, sprinkled with crushed candy canes and simple lifted the Christmas trees and hearts and placed them on top of each cupcake. Those look SO yummy!! I can’t wait to give them a try!! Those look so yummy! I especially love the tree toppers. I’m visiting from the I’m loving it link party. LOVE the tree toppers! Great idea! You are just amazing Mique. Love you! Lindt is my favorite!!! These look decadent and so festive. I can’t wait to spoil someone with them. Thanks so much. 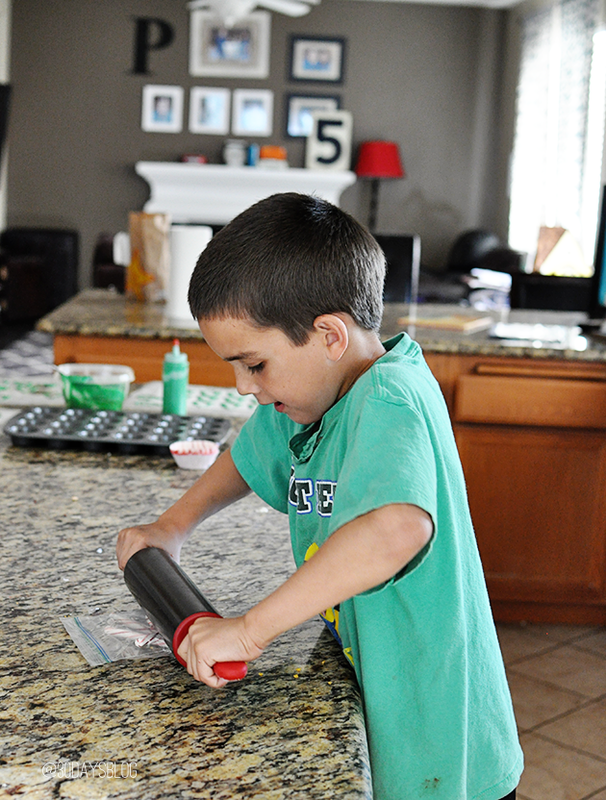 Your little baking partner is precious! Awww thanks Miranda- I think he’s pretty precious. :) He’s a fun partner to have in the kitchen. He loves baking! Oh my goodness… these look so good! I can’t wait to try them! Those tree toppers are SO dang cute!! Love these!